There are 195 countries in the world today. Developed countries account for a diminutive percentage. The rest of the world is striving to catch up with them. By 2030, it is expected that 85% of the world’s population will be in developing countries, with 15% in LDCs (least developed countries). In today’s world due to the limited amount of resources and globalization. Many countries are competing with each other in the same arena but with a different tool. Ease of doing business with other countries requires certain parameters. The government plays a key role in providing employment to the population. In the country like India, with high population employment rate is low. So, to overcome the unemployment government of India undertaken many initiatives to empower the people to become entrepreneurs. MSME (Micro, Small and Medium Enterprise) is one of the initiatives. These MSME aims to provide skilled labour force and to create entrepreneurs. Via these MSME government directly provides assistance in establishing and running new ventures. As per the requirement, the government of India amended the law and schemes to enforce the MSME. Entrepreneurs are to be given information that would facilitate to take the best advantage of the schemes. This would give them encouragement, enhancement and hand-holding resulting in improving the productivity of the enterprises. 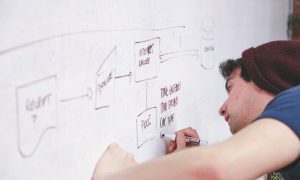 Development of enterprises in terms of establishment, expansion, modernization, acquisitions and mergers can take place. Organisation structure in terms of proprietary, partnership, cooperatives, corporations, etc., can be planned and they have to require the MSME Registration. Issues like state development, infrastructure, fiscal issues, export prospects, etc., paves way for economic prospects. SME Division Scheme: Providing financial assistance on International Cooperation, Training Institutions and marketing assistance. Development Commissioner (DC-MSME):Ministry of Micro, Small and Medium Enterprises, GoI and Small Industries Development Bank of India (SIDBI), established a Trust named Credit Guarantee Fund Trust for Micro and Small Enterprises (CGTMSE) to implement Credit Guarantee Fund Scheme for Micro and Small Enterprises. The corpus of CGTMSE is being contributed by GoI and SIDBI. GraminBhandaran Yojana: A Capital Investment Subsidy 40 scheme for Construction/Renovation of Rural storage space. Organising Workshops/Conferences/Seminars in the relevant area. EXPORT CREDIT GUARANTEE CORPORATION OF INDIA LIMITED. DEPARTMENT OF INDUSTRIAL POLICY AND PROMOTION: The scheme provides world class infrastructure and to integrate production chain in a manner that caters to business needs of leather. TEA BOARD: Scheme for participation in International Fairs and Exhibitions with Tea Board. SPICES BOARD: The scheme aims to promote Indian spice brands in new, sophisticated and affluent segments in foreign markets, targeted beyond ethnic Indian population in these countries and in the Middle East. There are two activities assisted under the scheme viz., Product and packaging development and bar coding; and brand promotion. R&D Funding scheme: Providing funds under this scheme (Grant in Aid) to institutions/organisations in the area of research and development, for technical collaboration, etc. strengthen the Technology Incubation Centre. Multiplier Grants scheme (MGS):MGS aims to encourage collaborative R&D between industry and academics/R&D institutions for development of products and packages. SIP-EIT, Support International Patent Protection in Electronics and IT: To provide financial support to SMEs and Technology Start-Up units for international patent filing so as to encourage indigenous innovation and to recognise the value and capabilities of global IP and capture growth opportunities in the area of information technology and electronics. Software Technology Parks of India (STPI). Special Economic Zone scheme (SEZ). Electronics Hardware Technology Park (EHTP) scheme. Export Promotion Capital Goods (EPCG) scheme. Duty Exemption and Remission Schemes. Renewed scheme for Certified Filing Centres (CFCs) to be operated by professionally qualified persons/Bodies to facilitate e-filing of documents under MCA 21. EES Filing Scheme & Information. Scheme for the Award of Fellowship to Outstanding Persons in the Field of Culture. Scheme for Financial Assistance for Capacity Building and training of Museum Professionals Description This is a new Central Scheme evolved with the aim to fulfil an urgent need for trained professionals at museums at various levels i.e. national level, state level, regional and local level museums all across the country. 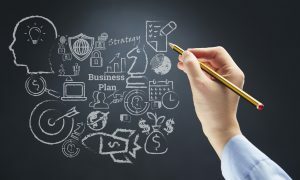 Scheme for Growth Capital and Equity Assistance: The scheme provides adequate capital to meet growth aspirations of MSMEs and helps existing small and medium businesses to make investments in marketing, brand building, creation of distribution network, technical know-how, R&D, software purchase. Scheme for Refinance for Small Road Transport Operators (SRTOS): nature is to Refinancing. Scheme for General Refinance Scheme (Grs): Setting up new MSEs or expansion, modernisation, diversification, etc. Refinance for the textile industry. Scheme for Composite Loan Scheme:Loan limit – Not to exceed Rs.25 lakh. Scheme for Single Window Scheme (SWS). Scheme for Rehabilitation of Sick Industrial Units. Scheme for development of industrial infrastructure for MSME sector. Scheme for Integrated Infrastructural Development (IID): IID centres with facilities like water supply, power, telecommunication, common services centre including for technological backup services for MSEs in rural backward areas. The cost of improving/upgrading deficient infrastructural facilities to increase productivity and optimum utilisation of existing centres/clusters in backward/rural areas. Scheme for Bills Rediscounting – Equipment (Inland Supply Bills). Scheme for Dairy Venture Capital Fund. Scheme for establishing “poultry estates” and mother units for rural backyard poultry. Scheme for Establishment/Modernization of Rural Slaughter Houses. Scheme for Commercial Production Units of Organic Inputs. Mega Food Park: Providing mechanism to link agricultural production market by bringing together farmers, processors and retailers to ensure maximising value addition, minimising wastages, increasing farmers’ income and creating employment opportunities particularly in the rural sector. This is based on “Cluster” approach and envisages a well-defined agri/horticultural-processing zone containing state-of-the art processing facilities with support infrastructure and well-established supply chain. These include Collection Centres, Primary Processing Centres (PPC), Central Processing Centre (CPC) and Cold Chain infrastructure. Cold chain:The scheme aims to facilitate the establishment of a strong cold chain facility for agricultural, horticultural, dairy, fish & marine, poultry & meat products by establishing linkage from farm gate to the consumer, end to end, to reduce losses through efficient storage, transportation and minimal processing. National Mission on Food Processing (NMFP):It is a centrally sponsored scheme in all the states in the ratio of 75:25 (Govt. of India and states) except for North Eastern states, where the ratio is 90:10. All the UTs are funded on 100% grant basis. JNNURM (Jawaharlal Nehru National Urban Renewal Mission). Pradhan Mantri Gram Sadak Yojana. Prime Minister’s Rural Development Fellows Scheme(PMRDFS). Provision of Urban amenities to Rural Areas (PURA). Science & Engineering Research Council (SERC). State Science &Technology Programme (SSTP). Science and Technology Application for Rural Development(STARD). Scheme for Young Scientists (SYS). Science and Technology for Women. National Science & Technology Entrepreneurship Development Board (NSTEDB). Rajiv Gandhi National Fellowship (RGNF). Fellowship for JRF and SRF will be at par with UGC fellowships will be awarded. NGO working for SC organizations. The quantum of assistance shall be determined in each case on merit. The Government of India may, however, meet 90% of approved expenditure on any or all items enumerated. The remaining expenditure is to be met by the concerned voluntary organisation from its own sources. Additional grant for Apparel Manufacturing units under the scheme for Integrated Textile Park (SITP). Catalytic Development Programme (CDP) in Project Mode. Comprehensive Handloom Cluster Development Scheme (CHCDS) – Mega Handloom Cluster (12th Plan). Comprehensive Handlooms Development Scheme (CHDS). BABASAHEB AMBEDKAR HASTSHILP VIKAS YOJANA. Training of the trainers Design mentorship and apprentice. Scheme of capacity building for service providers (Institutes). Refresher courses for regional level guides. National Scheduled Tribes Finance & Development Corporation. Tribal Forest Dwellers Empowerment Scheme. Micro Credit Scheme (MCS) for Self Help Groups (SHGs). North Eastern Region Urban Development Programme(NERUDP). Pooled Finance Development Fund Scheme. All the start-ups or small business have to require the legal entity with the Udyog aadhar Registration. Udyog aadhar previously known as MSME Registration but from the 2015 MSME has been converted into the udyog aadhar registration. Its a simplified one page registration which generated UAM Number for each legal entity so they can avail the msme benefits from the respective msme state government department. 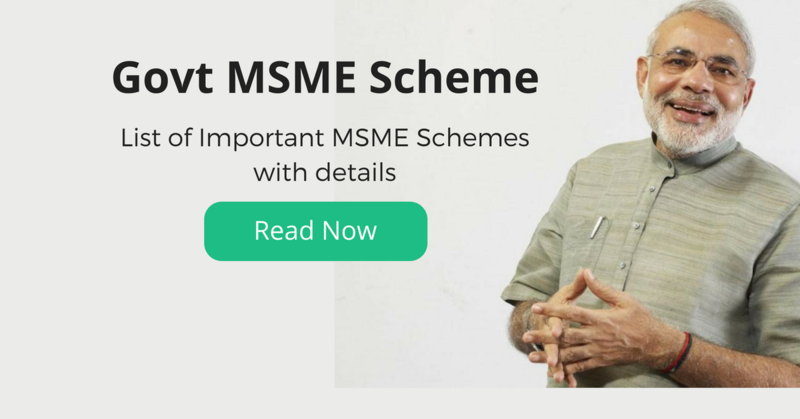 Hope this guide is really helpful for you to know about the lot of the MSME Schemes which is very helpful for your new business.